Our design expertise will help you achieve a personalized kitchen on time and on budget. Visit our kitchen & bath design showroom in Belmar, NJ, or call for consulting services. 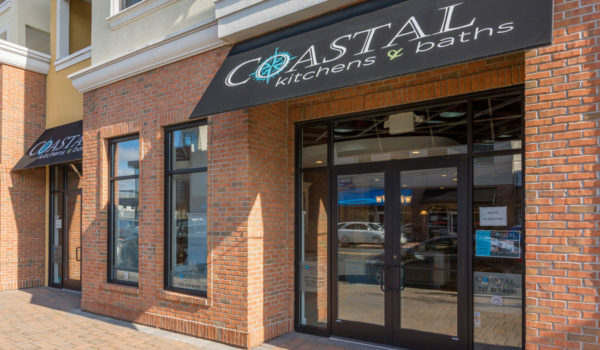 At Coastal Kitchens & Baths our design experts will fulfill the desire of customers and ensure that our products meet their needs through great service and innovation. We understand the overwhelming choices available and wish to make your renovation experience as stress free as possible. Whether moving into a new home or improving their current one, our clients want to create their ideal living spaces – and it’s our responsibility to help them achieve that goal. We offer several lines of cabinetry to meet the needs of both quality and versatility while offering competitive pricing. Our quality brands are backed by the industry’s best warranties. We at Coastal Kitchens & Baths strive to simplify the process necessary to make your dream kitchen a reality. Whether you’re designing a new home or remodeling your existing one, it’s all about the details. Our staff of highly qualified and experienced interior designers will work with you to choose the perfect materials for your living space. 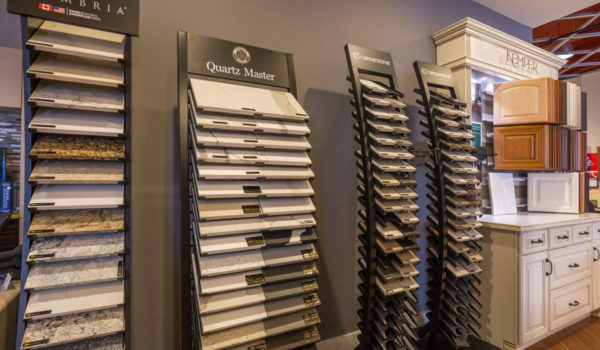 Our showroom features a wide range of options for every aspect of your project. From cabinetry and countertops to color and lighting, our expert designers can work with you to choose the perfect fit for your home. We collaborate with you to ensure your desires are fulfilled. Your participation in the design process is crucial to the end result. For that reason, we provide a large selection of detail-oriented samples in our showroom so that you can take a hands on approach. Our showroom samples and demo spaces will put you into the design process and let you review hundreds of options to find the ideal match for your vision and living space. Once you’ve completed the process of selecting and shaping your living space with our expert designers, we’ll work with you to plan for all of the next steps. Our team of qualified experts will guide you through the delivery of your materials and make sure that everything is handled with the utmost care. Since the process involves customization unique to your personal preference and home, we’ll also work with our industry-leading manufacturer’s to ensure that every detail of your materials is handled with care. So as we move along through the process you can be sure that each and every item you select to design your ideal living space will be professionally handled until it reaches your home. In the latter stages of your custom kitchen or bath design, we’ll work with you to schedule a convenient date for the remodeling or installation. We take pride in minimizing the disruption of your day to day life. Therefore, when we schedule your installation we make sure it fits with your schedule. Our goal is to work efficiently, and quickly, to bring your new living space to life with the utmost care in handling your materials. We take pride in every aspect of the process, from showroom to scheduling your installation. So we will make sure that the entire process is a perfect fit for you and your family. Coastal Kitchen was incredible during our renovation process. Their eye for detail and design really brought through the change we wanted to make in our Spring Lake home. From the cabinetry to the color selection, they helped us make the right decisions to bring the entire living space together just as we hoped. The attention to detail by Coastal Kitchens is second to none. They made our entire kitchen modernization project a smooth and easy process. The volume of samples that are available in their showroom, along with the display kitchens, really created a clear understanding for achieving our own goals. Coastal Kitchens was an incredible part of our kitchen remodeling experience. Their team of interior design experts made the entire process efficient and easy, while their large selection of sample products helped to simplify the overall process. Our new kitchen is exactly what we had envisioned! We would be happy to meet with you, bring your plans and ideas, and let us help you design the kitchen or bath of your dreams! Get a professional kitchen & bath remodeling quote today, call now!